Here’s The Trailer For Spirits In the Dark! 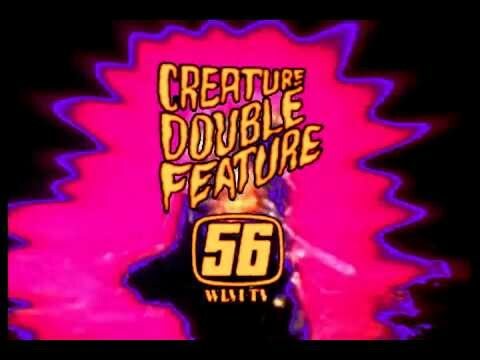 I don’t know anything about this film but this trailer is super creepy and dream-like! According to the imdb, this is a Hungarian film that was directed by, written by, and stars József Gallai. The imdb plot description reads: A lonely widower finds a mysterious video on his computer that leads him to an abandoned town occupied by an ominous entity. The film is listed as having a 70-minute running time. That may sound short but that’s actually kind of a good sign. Some of the best horror films are quick and efficient. The film was released in Hungary earlier this year and, whenever it’s available here in the U.S., I’ll be sure to watch and share my review! Before moving into a new place, always do a little research. That would seem to be the main lesson that one can take from the 1986 horror film, Crawlspace. As the film begins, Lori Bancroft (Talia Balsam) thinks that she’s found the perfect little apartment. It’s clean. It’s roomy but cozy. It’s got space for all of her stuff. It’s perfect for hosting friends. You can bring a date back to the place without feeling embarrassed. The apartment even comes with a charmingly eccentric landlord, an older German gentleman named Karl Gunther. Gunther is played by Klaus Kinksi and…. Wait …. he’s played by who? Klaus Kinski? You mean the infamously difficult actor who appeared in not only a countless number of horror films and spaghetti westerns but also Doctor Zhivago? Would this be the same Klaus Kinski who was briefly Werner Herzog’s muse? That Klaus Kinski? It soon turns out that Gunther is not quite the friendly man that he pretends to be. Gunther’s got some issues. For instance, he spends a lot of time intentionally burning his hand and then smiling afterwards. And there’s his habit of playing Russian Roulette. Throughout the film, we see him sitting at a table and putting one bullet in a gun, just so he can then point it at his head and take his chances. Gunther also has a thing for ventilation shafts. He loves to crawl around in them, specifically so he can spy on his tenants. When we first meet him, he’s obsessed with Sophie (Tane McClure) but he soon turns his attention to Lori. Often, he’ll release rats into a tenant’s apartment. When Lori merely laughs at the rat as opposed to screaming in fear, Gunther is impressed. Of course, Karl Gunther wasn’t always a landlord. He used to be quite a respectable doctor. Of course, then all of his patients started dying and Gunther’s career went downhill. Gunther, of course, claims that he only murdered his patients because they were in pain and suffering. However, it could be more likely that his actions had something more to do with the fact that Gunther’s father was a Nazi war criminal, a doctor who justified his crimes with the same excuses as Gunther. If all that’s not enough to convince you that Gunther’s got some issues, you should just take a look in the attic. That’s where Gunther spends most of his time, writing in his journals. It’s also where he keeps jars that are full of body parts. One jar has a tongue in it. A pair of eyes float in the other. There’s a finger in another. The attic is also where Gunther keeps one of his previous tenants in a cage. Gunther says that he likes to talk to her, despite the fact that he long ago removed her tongue…. Plot-wise, Crawlspace is pretty much your standard low-budget 80s horror film. There’s not much here that could really be called surprising but director David Schmoeller does find some creative ways to film all of the expected mayhem and the frequent shots of Kinski crawling through the ventilation shafts are genuinely creepy. Kinski, giving a performance that’s even more unhinged than usual, is the best thing about the film and the main reason to see it. By making Karl Gunther the self-loathing son of a war criminal, Schmoeller and Kinski bring an interesting subtext to the film. Gunther is more than just a slasher movie villain. Instead, he’s the embodiment of Hitler’s hateful legacy. 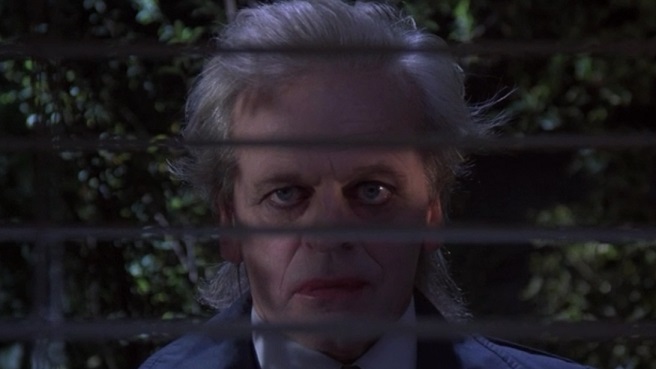 As I mentioned at the start of this review, Klaus Kinski was a legendary for being difficult. Years after both the release of Crawlspace and Kinski’s own death, director David Schmoeller released a 9-minute documentary about the experience of making a film with Kinski. 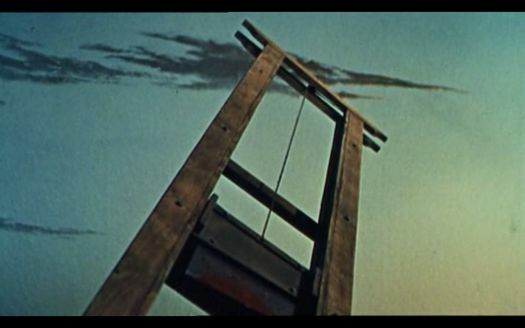 The title of that film: “Please kill, Mr. Kinski.” Apparently, this was a request that several members of the crew made to Schmoeller over the course of filming. (Interestingly enough, Werner Herzog would make his own Klaus Kinski documentary — My Best Fiend — in which he mentioned that, during the shooting of Fitzcarraldo in Brazil, a native chief offered to have Kinski killed.) Please Kill, Mr. Kinski is a fascinating look at not only low-budget exploitation filmmaking but also what it’s like to have to work with a talented monster. As of this writing, it can be viewed on YouTube. Here Are The Other Super Bowl Teasers For Scary Stories To Tell In The Dark! Here’s The Super Bowl Teaser For Scary Stories To Tell In The Dark! This film, from Guillermo Del Toro, will be coming out this summer and I can’t wait! There’s nothing like terrifying, mind-bending horror to liven up the summer months. Seriously, I totally screamed when I saw this. Hammer Horrors were a staple of Boston’s late, lamented “Creature Double Feature” (WLVI-TV 56), so today let’s take a look at a demonic duo of Frankenstein fright films starring the immortal Peter Cushing in his signature role as the villainous Baron Frankenstein. 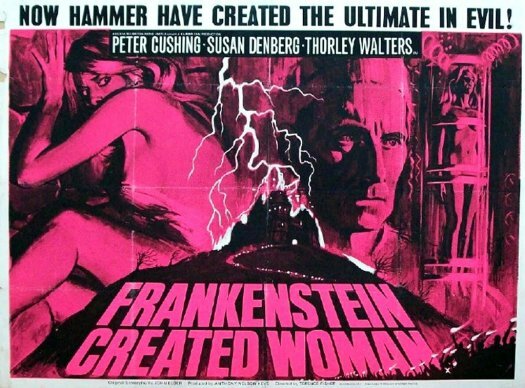 FRANKENSTEIN CREATED WOMAN was the fourth in Hammer’s Frankenstein series, made three years after EVIL OF FRANKENSTEIN. The Baron is back (after having apparently been blown to smithereens last time around), this time tampering with immortal souls rather than mere brain transplants. The movie features some ahead-of-its-time gender-bending as well, with the soul of an unjustly executed man transmogrified into the body of his freshly dead (via suicide) girlfriend, now out for vengeance! What better way to wrap up Halloween and Horrorthon than with an AMV of the Day?